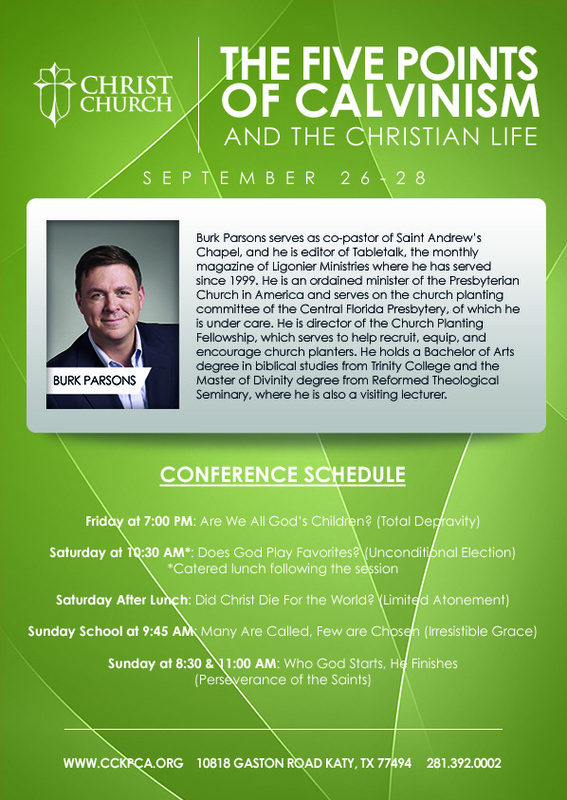 Join us for our Spiritual Life Conference during the last weekend of September! We are blessed to have Rev. Burk Parsons speaking about Biblical theology interacts with our daily lives. When: Five plenary sessions, starting Friday at 7pm, Saturday at 10:30am, and concluding Sunday morning. Get a detailed schedule HERE. Our Facebook event HERE.